When I began my spiritual journey, I was amazed at what I was coming into “knowing.” When I awoke, I was very upset as many are when we come to the realization that our reality has been carefully crafted for us through the mass consciousness. And as such, it is filled with all kinds of limitations that are not our “truth.” And this is the first stage or state that many go through. The realizing that the reality that the masses believe in is very limiting, false and full of imposing energies that are not Divine. Usually, we get to the understanding that there really is a 1% that truly “rule” the world. And yet, this is merely from a secular perspective. And this only works for the 1%’s, if we buy into it. Well, unfortunately here is where many get stuck! Where your attention is, there you are! What you dwell upon, you become! Never have I heard from those that share their knowledge about how we are being manipulated by the “elite” that we ourselves are, by far, more powerful than these 1% that supposedly run everything. Kryon has been teaching us how our DNA is increasing in activity. We are enabling more strands of DNA. We are bringing back more of who we are. And through the darker periods, our DNA was barely twenty-some percent active. And as we have returned to more of who we truly are, more of our divinity in us; we have increased our active DNA to around 33%, today. As we are from Divine Source, we have the ability to ascend from our current state. This is a much sought-after ability that those throughout the universe are very interested in. For we can ascend and transcend our realities, quite easily. This is why the “dark” as no chance. They choose not to ascend. They choose to stay in the lower 4th dimensional realms. Known today as the lower astral realms. Those from higher dimensions can always peer into the “lower” dimensions. However, those from “lower” dimensions can not pierce through to the “higher” dimensions. Unless one chooses to return to their Divinity. Then the ascension is on! Those that believe themselves to be representative of the “dark” never turn to the “light” to progress. This is totally the polar opposite of all they think they represent. They merely go further and further into darkness until they are so dense and so isolated, that it takes Divine Beings the likes of Archangel Michael to go with his Legions and rescue them. And this we too are doing as we ascend with Gaia. As we bring about the ascension of our planet, we ourselves ascend. And the “dark” has no recourse other than to try and leave. This has not been working out for them. As when the “light of God that never fails” comes into our planetary presence, these Divine Beings bring back all into their Divine state. Those that choose more 3D lessons, already have a planet prepared and they are migrating there. And according to the Ascended Host, there is much progress being made by these once recalcitrant beings on their new home world. 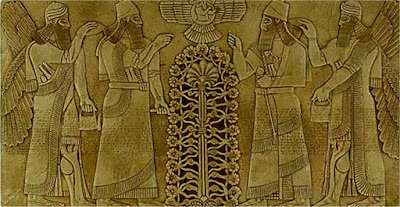 I have heard numerous accounting of how the Anunnaki’s came and disabled “mans” DNA. In order to have a “slave race” with which to work. And yet, I very seldom hear about how the Ascended and Angelic Host that are “our brother’s keepers,” allowed this to occur because of how much destruction we were accomplishing in our schooling. We where being way to injurious of Creation as a whole, while we learned our lessons. So much so, that the Angels and Elementals have been influenced by our discord. Some of these dear Divine Beings got caught in the discord and became imprisoned life forms, while we turned the schoolroom into a destructive playground. Thinking because we had mastered destruction that we were the “dominant” species. When in fact we were to be the “stewards” of the whole of Creation, here on Gaia. In a loving and divine way, ever perfecting the already perfect Creation that God/Source made for us. 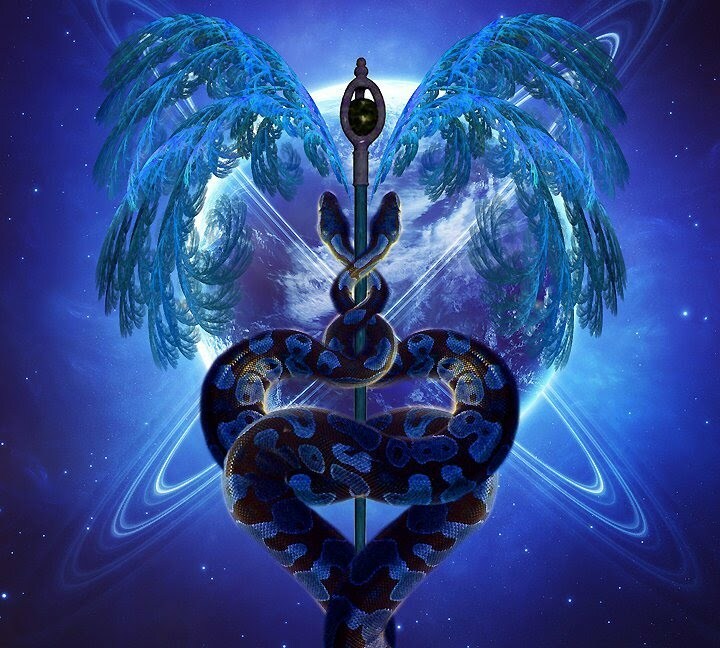 Working in harmony with Angels and Elementals we Humans were to be the compliment of the trinity of Divine Creation with our fellow co-creators the Angels and Elementals. With each of us contributing Divine energies, to further perfect our planet. 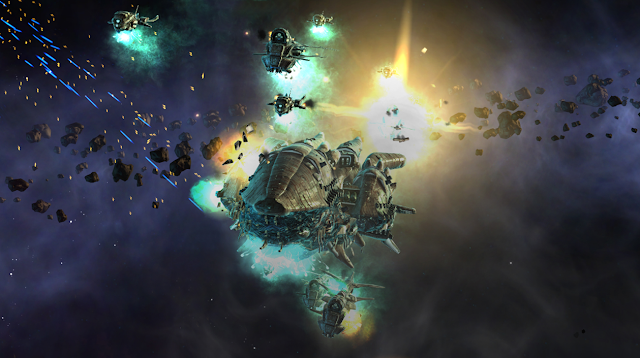 In some accounts, we have been told of how we, ourselves, with our own fighting caused the destruction of Maldek. And now there is merely an asteroid belt, where the planet Maldek used to reside. Then we fled to Mars and began the same fighting once more. However, we didn’t entirely destroy this planet. We just ruined the atmosphere? Then we came to Earth. And this was brought to my attention from Bashar. Bashar says if we look at our sojourn within our solar system, as we gained in experience and knowledge; we have gotten closer and closer to the “light”; i.e. our Sun. Since the “light” is so powerful, we have become “brighter” and more engulfed in these Divine energies, as we have progressed closer and closer to our Sun. Thus, leaving behind our experiences of “darkness” and returning once more to our Divinity as Beings of Light. Divine Light Workers! Then when one studies the Ascended Master teachings, we learn that as we ascend as a planetary body; we get closer and closer on higher and higher frequencies towards our star, the Sun. Then one by one, the planets return to the sun in a Divine Ascension that is beyond our “knowing” at this point. Mercury will be brought back into the Sun first. Venus will transition to where Mercury was. And Earth/Gaia will be in the orbit that Venus once held. This is when we truly become the “New Earth” the “New Love Star” and the “Freedom’s Holy Star,” referred to by the Ascended Hierarchy as the true title of Gaia. And yet, simultaneously, the ascension occurs on a vertical axis as well. So, while this occurs we go higher and higher in frequency. To higher versions of Earth and our star, the Sun. Because we had become so destructive in our learning of our ability to Create as Source allowed us to be co-Creators in the Universe. And so, knowing that it would be “easily” re-obtained; we were allowed the “Karma” of our lessons of being cruel to others. 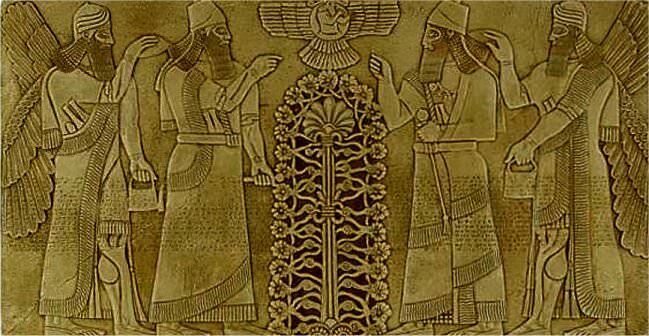 Thus, when the Anunnaki came and began removing our strands of DNA; this was allowed to proceed as we had merited our own destructive Karma. The Ascended and Angelic Host teach us that we could have learned all of these lessons through divine love and grace. 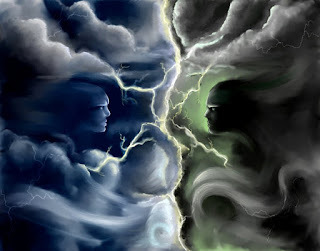 And yet, we chose to participate in a “showdown” of balance between “dark” and “light.” This is why we hear so much of the “middle path.” When this type of experiment is brought forth for our learning, through choosing of the “tree of knowledge of good and bad.” The best solution is the middle path back to Source. 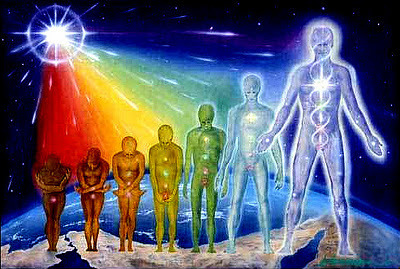 Since we are all “awakening” to the truth of our Divinity, we are all gaining in Consciousness, Harmony, and Oneness. And we are bringing back all of our recalcitrant bodies, (physical, etheric, mental and emotional) back into harmony, with our already perfect higher self or Christ Consciousness, our Causal body and our Divine I AM Presence, or electronic body, so as to function in Oneness, as a whole. This naturally activates more of our DNA, more of our multidimensional aspects, and a lot of our Divine Light. We bring back into being our Merkabah’s and we become ever more Eternal Beings of Divine Light. We bring back our Light Bodies. As we ascend back into more of who we truly are. 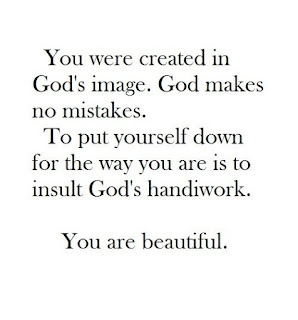 Remember, beloveds. I am among God’s and Goddesses in training. Remember, Divinity Is In Us.